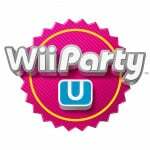 Wii Party U was released last week, but it bypassed the North American and European Wii U eShops and is available exclusively as a physical purchase at the time of writing. It has been assumed that the game's reliance on physical items — such as a Wii Remote and GamePad stand — has resulted in this move, but there's a twist in the tale. We've had it confirmed that the game is available as a digital download in Australia, where it is also available in stores. Quite why this is the case when other parts of the world have been denied an eShop version we're not sure, but needless to say we've been asking and will update this post when we have official word. Are you based Down Under? Have you downloaded Wii Party U? Share your thoughts with us by posting a comment. Thanks to WiiLovePeace for the tip and the photo! Good, Australia deserve to get something first. If it's available down under then it should come to EU eShop soon enough. "Quite why this is the case when other parts of the world have been denied an eShop version we're not sure"
I know this stuff happens but I had a good laugh when reading this. Anyway, I hope NA can download this eventually, and cheaper than the store version, because the last thing I need is another Wii remote. The digital version really ought to be cheaper than the physical copy considering how much more bang for your buck is included in the retail box. Maybe AU$49.95? I figure it's because if Nintendo released it on the European & North American etc. eShops they would have to value it far lower than RRP since it comes with a Wiimote. But from Nintendo's perspective, us Australians are used to being ripped off on the Australian eShop so there's no harm in releasing Wii Party U at the full price digitally. That's my take on it anyway. 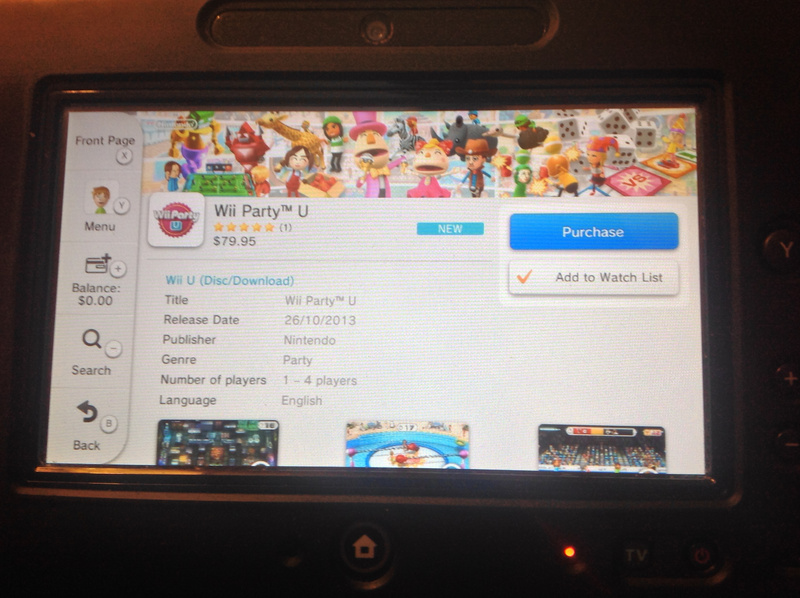 Oh & Wii Party U was available to download from day one on the Australian eShop. Hence if it's not already available to download from other region's eShops I doubt it's coming anytime soon. I feel sorry for all Australians I just noticed the price $80 that's about £50 for a game that only costs £35 in stores with a Wiimote plus. The retail version is a great deal with the additional Motionplus controller. Why would anyone want the digital version at that ripoff price? @WiiLovePeace - So they basically put it up in Australia at the full retail price knowing nobody would buy it a that price but they can at least claim it's available as a digital download? Usual business logic. Are the mnigames in this that much different than the stuff in Wii U Fit? My family likes competitive minigames - my entire family was nuts over the balance juggling thing in Wii Fit 2 - but we don't like board games. I'll pay $20 for the Fit Meter and play those. @Pinkman It's their money that has a big inflation on it, really. Not a strong value for their dollar. So they pay on that. On the European eShop it says not available yet so there is hope isn't it? I just hope they won't try to rip us off like they do in Australia. By the way same topic different game: was Mass Effect 3 never on the eShop or was it pulled out at some point? @LittleIrves - I'm really kind of on the fence w/ this one. Some of the minigames do look fun, and the Gamepad stand looks useful, but I already have 4 Wiimote Pluses so $50 is out, especially w/ Wii Fit U on Friday. Even if the games are different, we only play maybe an hour a day so we only have so much use for games. Might pick this up as a "filler" on a B1G1 1/2 off sale w/ something I really want. Plus, my Wii U is in the shop - literally - so who knows when I'll get that back. Honestly this isn't a big deal because everyone should get the physical copy. Here in Australia the eshop version is $79.95 yet I bought it at retail for $68 which obviously included the Wii Remote+ as well as the Gamepad stand! @ferthepoet It's internal inflation, it's a matter of internal proficency. They are in big trouble for their main sector, witch is farming, because of the desertification of the land. Really it's a problem that's growing since the 70s, thus makes the internal market with a steep rise of the internal inflation and so the prices rise. The stand is only really required for those little tabletop games played with the Gamepad alone; I have to think it will show up in Club Nintendo or third parties will do knockoffs. Now if there was a Luigi remote pack-in I'd be tempted....especially for only 35 quid!